Over six weeks in late 2010, diners were treated to a culinary feast as they relish our most popular dishes of the decade, which include over 60 of Hua Ting’s most highly acclaimed and delicious classic dishes, with appetizers, soups, seafood, meat, vegetables, noodles, rice, and of course tantalizing desserts. They had the chance to select their favourites among the popular dishes of the last decade. These dishes will be a celebration of old favourites and new traditions that showcases Hua Ting’s authentic Cantonese dishes! Created by master chef Chan Kwok over the years, it represents the wonderful team effort and spirit that drives Hua Ting Restaurant to meet the highly sophisticated taste buds whilst maintaining the authentic cooking techniques. Soups are essential to every Cantonese meal and a favourite among the voters (without regard for the environmental concerns) who chose the Double-Boiled Shark’s Bone Cartilage Soup with Three Treasures. 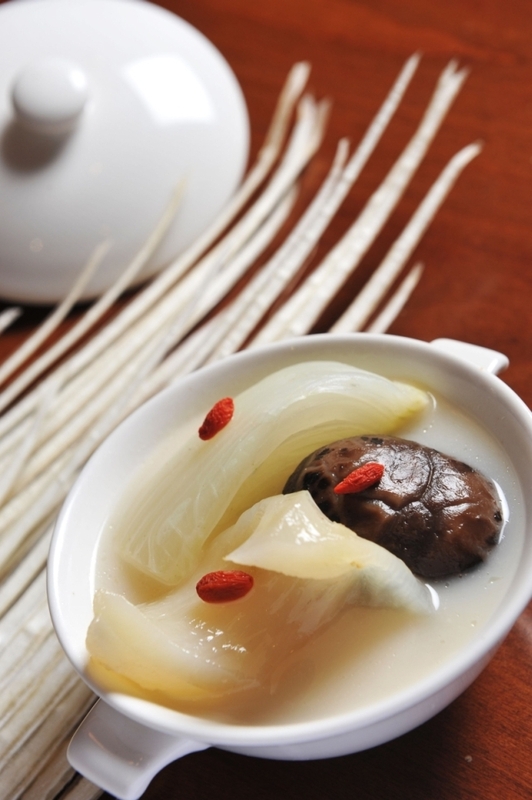 Enjoy the nutritious rich milky broth, result of more than 8 hours of boiling and contains Mushrooms, Wolfberries and Chinese Cabbage. 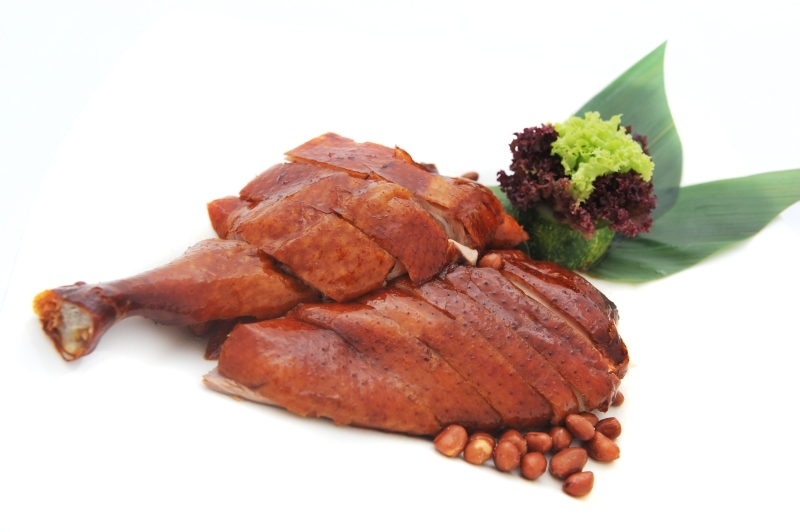 Hua Ting’s famous Crispy Roasted Duck received one of the top ratings in the meat category. It is a hit among the diners for its reddish brown crispy skin and succulent meat. 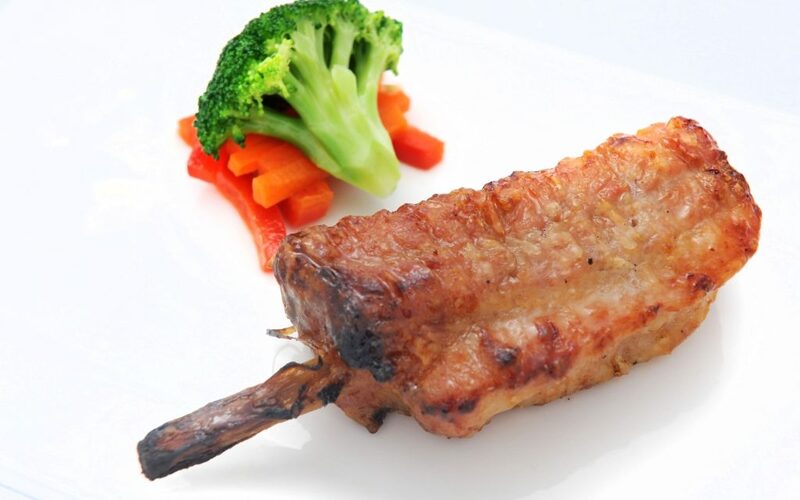 Pork lovers are in for a scrumptious treat with Baked Pork Ribs with Lemon Grass (top). Juicy tender meat roasted to perfection glazed with a Lemon Grass sauce. Savour Stewed Ox-Tail with Garlic. The meat is stewed in the garlic sauce to give its tenderness with a light garlic flavour. 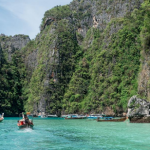 The highly anticipated “catch from the sea” selection includes Tiger Prawn prepared Two Ways. 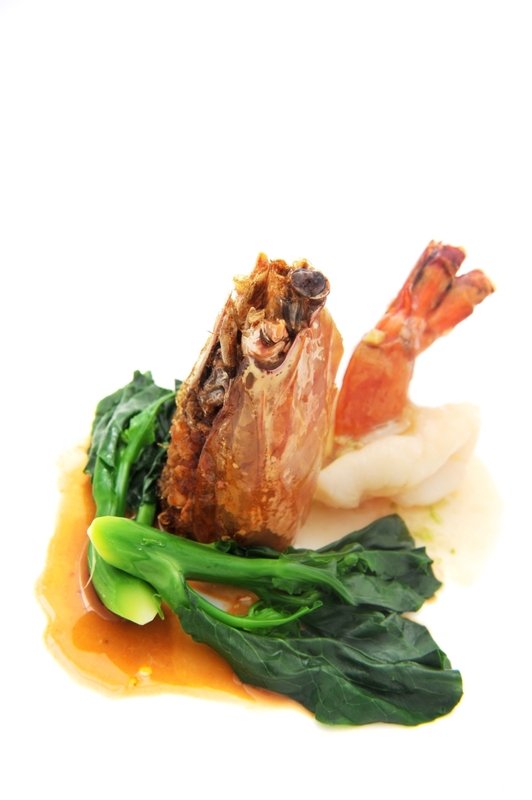 Diners can savour the sharp contrast between the Deep-Fried Crispy Prawn head and the Prawn body. The dish is dressed with a sauce that complements the two methods of cooking perfectly! 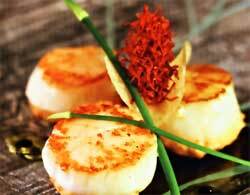 Alternatively enjoy Braised Homemade Emerald Beancurd with Seasonal Greens topped with Pan-Fried Scallops. 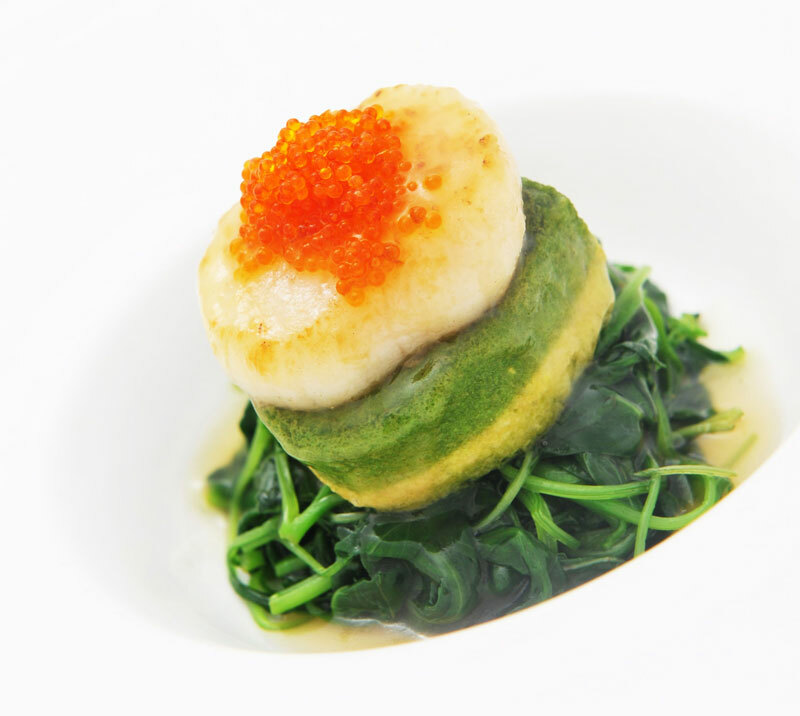 The tender greens, topped with homemade tofu complemented with a green layer of spinach goodness and a plump scallop is a feast for the eyes and a delight to the palate! Our guests enjoyed Stewed CK Hor Fun with Assorted Seafood in Egg Sauce so much that they picked it as the best dish in the Noodles and Rice Category. 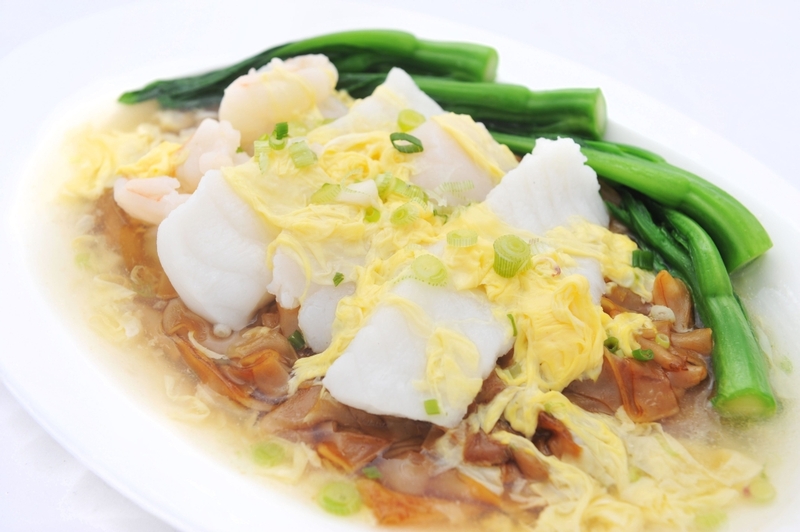 Noticeably the unique aspect of the dish is the brown noodles hidden under the white egg sauce. 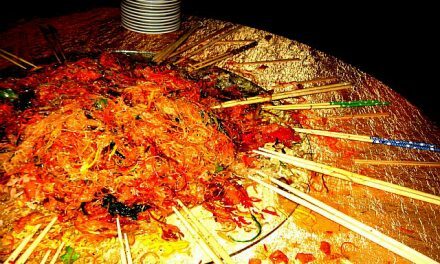 The charred taste of the noodles coupled with the egg sauce is a heavenly match! 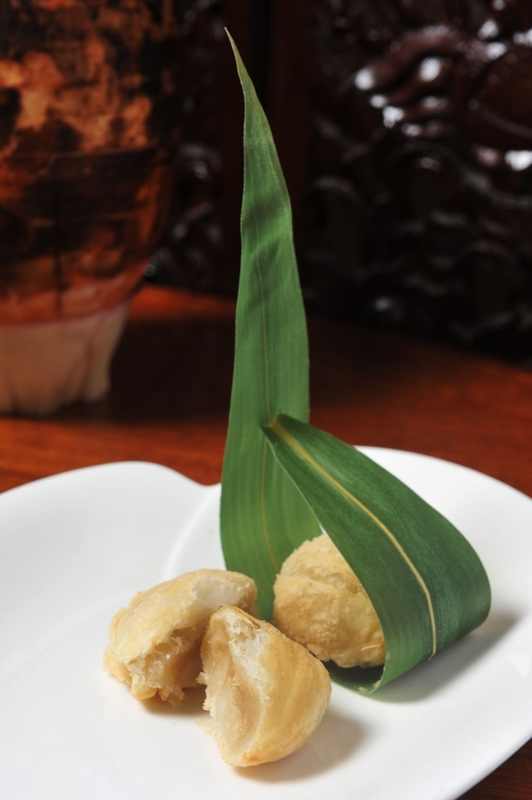 The well-loved oriental deserts among the patrons is Deep-Fried Yam Pastry. A yummy popular pastry shaped like a ball with a crispy flaky exterior and thick velvety yam filling is a refreshing delight to end a meal! Group Master chef Chan Kwok joined Orchard Hotel in 1997 to preside over Hua Ting Restaurant. Originally from Hong Kong, Chef Chan brings with him a wealth of talent and experience, working with top independent restaurants in Hong Kong and Macau, to the pioneering team of Crystal Jade Restaurant. 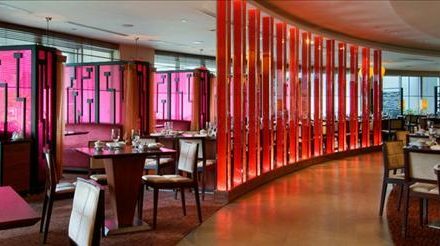 He ensures that Hua Ting’s patrons enjoy traditional, yet innovative Cantonese cuisine from the highly sought-after Dim Sum, provincial specialties to the culinary aficionado’s choice of exquisite seafood delights. Head down to Hua Ting and relish these Signature dishes for years to come! NextBudweiser Cup 2011 – Bringing 2 of Man’s biggest obsessions together.